The grass is green and the trees are budding! When you head outside here are a few things you can do around the house and garden. 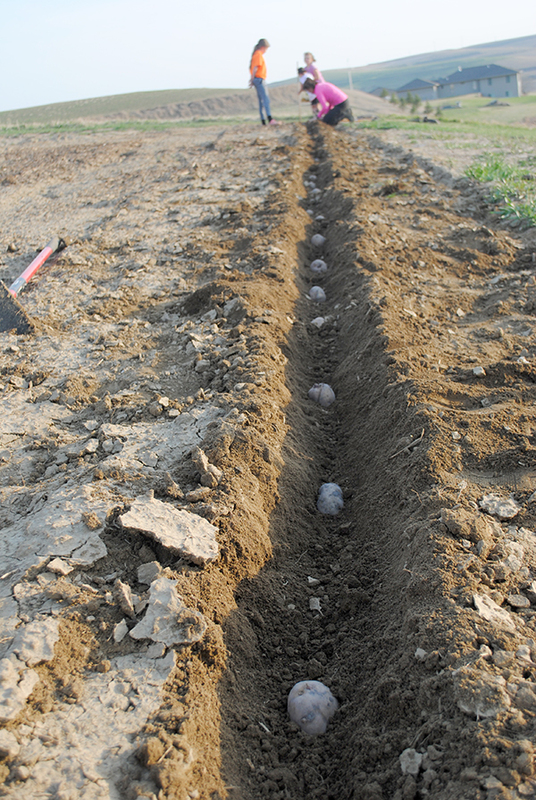 Potatoes – Now is the time to plant, if you haven’t already done so. Remember, eyes are up. It is also time to plant carrots, lettuce, spinach and peas. Plant Asparagus and Rhubarb – These perennial crops will give back to you year after year. Fertilize Cole Crops – Cabbage, broccoli and cauliflower planted in March should receive a fertilizer boost now. Mow the Grass – Yes! The grass is green and growing. The first cut always smells the best. Roses – Start fertilizing roses with a liquid fertilizer every two week until August or a slow-release fertilizer every six weeks or as recommended on the fertilizer label. Wait – If the soil temperature is NOT 60 degrees you should wait to plant warm season crops such as green beans, squash, cucumbers, tomatoes, etc. Deadhead – Remove the dead blooms from daffodils, tulips and narcissi. Fertilize with bone meal and then let them die down. Leave the leaves! They are needed to replenish the bulb for next year. Weeds – Those pesky things! Keep them under control now while they are small and thank yourself later. Citrus – Fertilize citrus trees and wait with anticipation as the fruit begins to appear. Plant Warm Season Crops – Continue planting tomatoes, peppers, sweet corn, green beans and whatever your palate desires from the garden. Thin – Thin crowded carrots, chard, and lettuce. They need space to grow and thrive! Add Color – Plant annual flowers such as geraniums, impatiens, zinnias, salvia and more! Dig and Divide – Divide perennials, clump type bulbs and ornamental grasses. Share them with a friend or plant them in a new spot! Compost – Keep adding kitchen scraps and grass clippings to the compost pile. Don’t forget to mix it. It speeds up the decomposition process. Bikini Bread Makes Zucchini Fun!